For over 30 years, CeoTronics has developed and produced innovative communication systems for demanding environments. We are the leading supplier of mobile digital radio networks and terminal equipment as well as high-quality communication headsets and systems for professional use. CeoTronics communication systems, including effective hearing protection and other protective functions, are far superior to simple hearing protectors because users can still communicate with each other even under the most adverse conditions. Whether working, for example, in noisy or dangerous environments or wearing personal protective equipment (PPE), CeoTronics systems offer more protection in the workplace, increasing productivity and efficiency. CeoTronics provides communication systems and services for a wide variety of professional groups and can also develop custom solutions for your company. Find out for yourself. We have a 100 % recommendation rating based on years of customer surveys. In January 2016, CeoTronics became the first company in the communications industry to be certified according to ISO 9001:2015. Then in 2018, CeoTronics successfully obtained certification according to the new PPE Regulation (EU) 2016 / 425. All CeoTronics products have a 3-year warranty*. CeoTronics has worked discreetly with public security and law enforcement forces for decades. The robust communication systems for diverse police operations are developed in close cooperation with users and fulfill, among other things, all of the required standards, such as protection classes IP65 / IP66 / IP67. 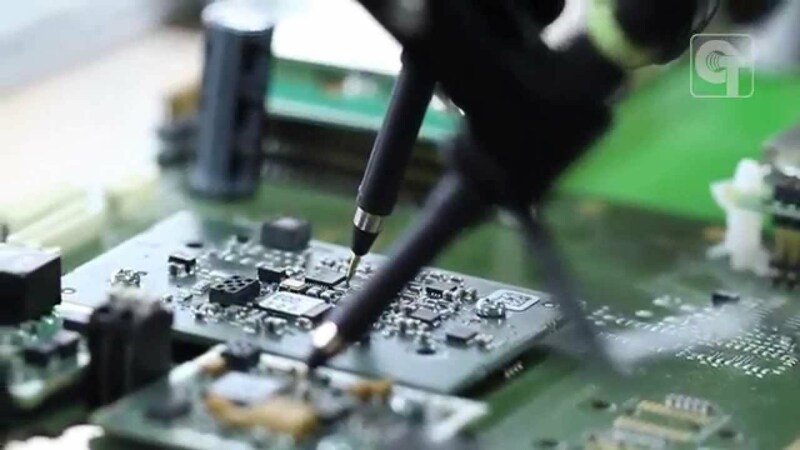 Since 1999, CeoTronics has produced and sold over 160,000 systems to connect digital radio equipment. Whether for covert operations, where functionality in the smallest space is required, or when wearing communication equipment under helmets and masks, CeoTronics communication systems are always the first choice. When ambient noise exceeds acceptable threshold levels and renders communication almost impossible, the use of a communications system offering hearing protection becomes imperative. The digital signal processor of the new in-ear communication system CT-ClipCom Digital processes and optimizes all incoming audio signals. The first-class ambient sound reception (CT-ASR = ambient sound reception) can be set to one of four levels of sensitivity and enables natural ambient sound. If the noise level of ambient sounds is too high, the system regulates the threshold value down to 85 dB (A) for active hearing protection. Impulse sounds are reduced to a safe level, as is any interference noise. The advanced development of the CT-ClipCom Digital is available as flexible boom mike or ear mike variants. Both versions fulfill the requirements of the new EU Regulation 2016 / 425 with test basis EN 352 and may be used as personal protective equipment (PPE). CT-ClipCom Digital is not permanently attached to other protective equipment or headgear and doesn’t hinder their use. For use with heavy respiratory equipment, the ear microphone variant of the CT-ClipCom Digital is an outstanding choice. The ear microphone picks up speech directly in the ear canal and is less sensitive to interfering noises from the environment. Many new CeoTronics products come with the new CT-ComLink® technology, which provides users with a range of interfaces or connectors to ensure they have maximum flexibility in their choice of headsets and radio equipment. Thanks to the combination of the CT-ComLink® connector plug and intelligent connecting cables, connected headset systems are identified automatically and an optimal audio configuration is selected immediately. To ensure maximum operational reliability and safety for professional usage scenarios, the cables for connecting to the CT-ComLink® interface are also mechanically coded and visually marked. The interface – connectors and sockets – has IP66, IP67, and MIL-STD 810G certification, and is extremely resistant to environmental factors. mission. However, another crucial aspect is associated with in-ear communication systems: wearing comfort. CeoTronics provides certified, soft ear pieces for its systems. These can be worn comfortably underneath helmets and masks, and, unlike ear pieces made from hard plastic materials, also prevent unpleasant hardening of ear canal cartilage. If personnel change, only the ear mold needs to be replaced in the CT-ClipCom Digital (also relevant in terms of good hygiene). This means that it is not necessary to purchase a complete personal system for each team member. To date, re-development of the CT-DECT Multi has been the largest R & D project in the history of CeoTronics AG. The result is a mobile, digital, full-duplex communications system for local applications that has been designed with the very latest technologies to ensure it offers universal use for any user group. From industry and fire services to military or police: all mission personnel benefit equally from the performance of a CT-DECT system, which is in a class of its own. That’s about how long it takes for the digital CT-DECT radio network to be ready for use, enabling wireless and full-duplex communications within a group of up to 5 users. For practical purposes, this means simultaneous audio transmit and receive is possible without any infrastructure, and without the need to press a PTT button. The CT-DECT Multi is fitted with the new CT-ComLink® technology, which gives users maximum flexibility in their choice of headsets. Lightweight in-ear headsets or earmuffs are just two examples, and helmet systems for high-noise areas can also be connected. Thanks to the combination of connector, intelligent connecting cables and CT-ComLink® technology, the connected communications systems are identified automatically and the optimum audio configuration is selected in each case. After an extensive analysis of usability and components, a housing with a display was implemented that introduces a completely new and intuitive operation concept. The outer surface provides a secure grip and features excellent mechanical and thermal properties. Each button has a precision switching mechanism that can also be operated reliably when wearing gloves. The new CT-DECT Multi is not only waterproof and dust-tight, with classification to IP66 and IP67, but is also proof against sweat and saliva according to DIN 53160-1 / 2, and resistant to weak bases, lubricating oils and greases. The housing is made of an impact- and UV-resistant material, which has in turn been tested for resistance against chemical substances based on ETSI EN 300 019. The CT-DECT Multi has also passed tough environmental testing, including climate, shock, vibration and drop tests according to MIL-STD-810G, as well as a salt spray test according to EN 60068-2-52. Developed for professional applications, the integrated display offers an ultra-high-contrast image with optimum readability, even in strong, direct sunlight. Protected by an impact- and scratch-proof polycarbonate panel, it works reliably across a large temperature range of -30 °C to +70 °C. Optimized for viewing from three sides, the display is clearly readable even from a very flat viewing angle. Outstanding RF properties and immunity to high-frequency interference are key factors in the clear and distinct voice transmission offered by the new CT-DECT Multi. Alongside the CT-DECT radio network, an alternative connection via Bluetooth® is possible, e.g. to a mobile phone. possible, e.g. to a mobile phone. The design of the CT-MultiPTT 3C controls is unique: it was developed in close cooperation with leading police and military experts, and has been designed for complex mission scenarios. The universal control unit is compact and combines cutting-edge technology with user-friendly real-world fitness for purpose. The CT-MultiPTT 3C is fitted with the new CT-ComLink® technology, which provides users with a range of interfaces and connectors to ensure they have maximum flexibility in their choice of headsets and radio equipment. Lightweight in-ear headsets or earmuffs are just two examples. Thanks to the combination of robust connectors and intelligent connecting cables with CT-ComLink® technology, the connected communications solutions are identified automatically and the optimum audio configuration is selected in each case. Power management is also handled by CT-ComLink®. Thanks to its technology, the CT-MultiPTT 3C consumes very low energy, drawing all the power it needs from connected radio equipment. CT-Powermanagement therefore guarantees an optimized and long-lasting system runtime for all of its connected components. The new CT-MultiPTT 3C is not only waterproof and dust-tight, with classification to IP66 and IP67, but is also proof against sweat and saliva according to DIN 53160-1 / 2, and resistant to weak bases, lubricating oils and greases. The housing is made of an impact- and UV-resistant material, which has in turn been tested for resistance against chemical substances based on ETSI EN 300 019. The CT-MultiPTT 3C has also passed tough environmental testing, including climate, shock, vibration and drop tests according to MIL-STD-810G, as well as a salt spray test according to EN 60068-2-52. To extend the range of keys offered and enable remote control of the CT-MultiPTT 3C, the wireless transmission key CT-WirelessPTT MIL can be used. The PTT meets the high demands of protection modes IP66 and IP67 as well as MIL-STD-810G. In addition, different fastening systems are available for the CT-WirelessPTT MIL - Single Holder, Double Holder and mounting to a Picatinny rail. The CT-Vibration Headset is a headset that has been specially developed to offer highly effective communications both in quiet and loud environmental conditions. The bone conduction principle utilized here converts the analog voice signal into vibrations that are transmitted to the hearing organs directly via the cheekbones. The sound waves therefore travel directly to the inner ear without taking a „diversion“ via the eardrum. Accordingly, users of the CT-Vibration Headset can enjoy full situational awareness while still hearing incoming radio communications. Reliable voice transmission is assured in environments with high levels of noise even when passive hearing protection is worn. Thanks to the combination of a microphone offering ultra-high sound quality and effective background noise suppression, crystal-clear voice transmission is assured. The CT-Vibration Headset is fitted with a low-profile headband combined with a hood, which also means that it can be worn under helmets. To extend the range of keys offered and enable remote control of the CT-HR PTT, the wireless CT-Wireless PTT MIL can be used. The PTT produces no key noise and conforms to protection classes IP66 and IP67 as well as the military standard MIL-STD-810G. In addition, different fastening systems are available for the CT-WirelessPTT MIL - Single Holder, Double Holder and mounting to a Picatinny rail.